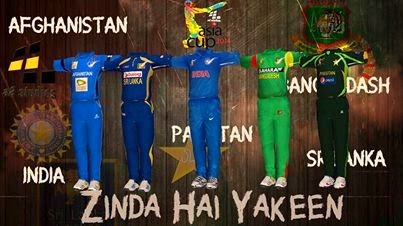 HERE COMES THE MOST AWAITED PATCH THE ARISE ASIA CUP 2014. INSTALL 256 BATs in EA Sports Cricket 2007 Root Directory (Root Directory is the folder where Audio, Data, Support folder & Cricket07.exe launcher are located). Download The 256 HD BAT PACK 2013. If you wont install it, there will be alot of errors while starting a match, i.e "Async load of .fsh error". Download Roster, extract it  and paste in My Documents alltogether. Overwrite/replace files if it asks. it contains actual roster/squads. INSTALL "ARISE ASIA CUP 2014" in EA Sports Cricket 2007 Root Directory.